Better accuracy. Instantly. The KPM III monitors up to 36 rows simultaneously. 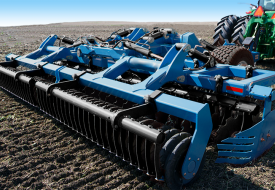 Skips, multiples and singulation, relative planting rate (bar graphs), ground speed, row spacing (manually or automatically), real time seed, population (by row), average seed population, seed spacing (by row), up to 40 acre counters, English/metric measurement, vacuum level, pneumatic down pressure, bulk fill scales, bulk fill pressure. 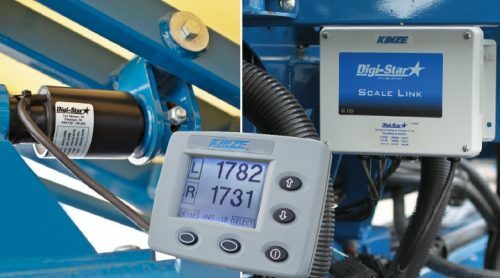 The magnetic distance sensor generates pulses triggered by the planter driveline sprocket to provide a reliable and simple speed input for KPM III monitor options. 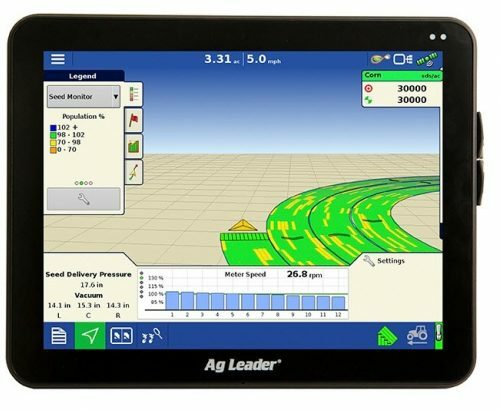 A large easy-to-use touchscreen display with tablet-like interaction gives you a powerful precision ag management tool with row-by-row mapping (with Ag Leader STMM), advanced planter control and ISOBUS/Universal Terminal/Task Controller. See and count every seed with new high-definition, one-piece optical seed tube. Count up to 120 seeds per second. Track population changes instantly. Compatible with Precision Planting 20/20 Seed Sense®, Ag Leader® STMM or any system using Dickey John® seed tubes. New smoother, stronger seed tube. High-definition, two-piece, optical seed sensor. Counts every seed, even at high populations, unlike other leading brands which use average count. Monitors multiples, skips and spacing at higher population rates. Automatically self-calibrates for dust. Instant response to population changes. 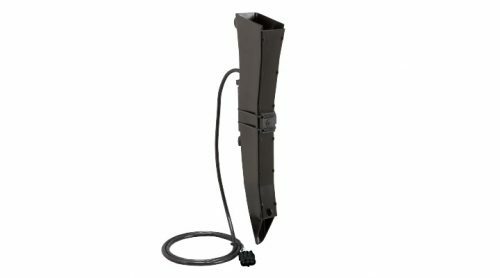 Large seed tube minimizes seed bounce within the tube, ensuring consistent seed spacing. Available on 4900 planters with electric drive. 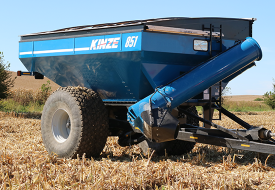 Another Kinze exclusive. 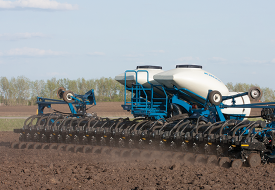 Improve planting efficiency and seed management. 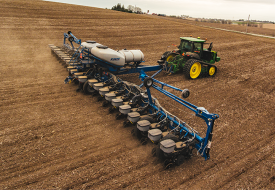 Accurately select/balance seed levels for each variety and exact acres. Less clean-out, less waste. Get real-time data down to the pound. Platform-mounted display installed near tanks for easy use when loading hoppers. 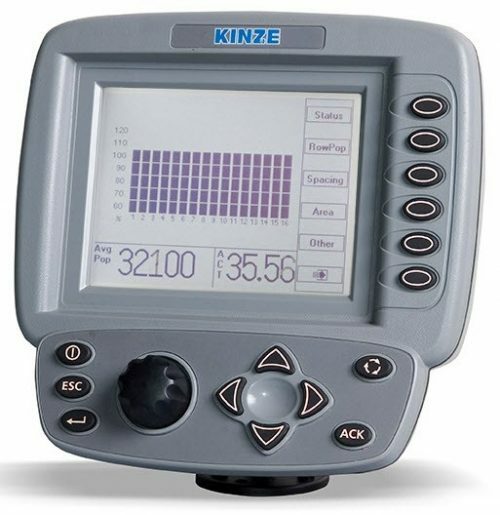 Can be viewed on all Kinze monitor options. Great time saver. Six 1500-lbs. capacity DIGIT-STAR® load cells (3 per tank). A reliable self-configuring 10 HZ capable WAAS based GPS receiver for section control and mapping applications using Ag Leader® InCommand. 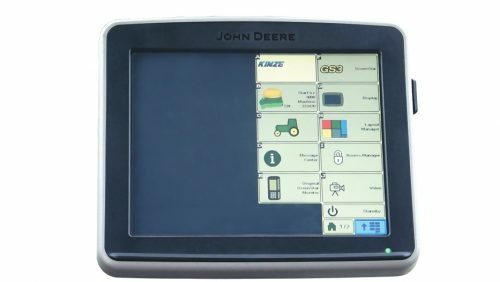 *To find out if your tractor's display has a fully functioning task controller, consult your Kinze dealer or check out our firmware updates. 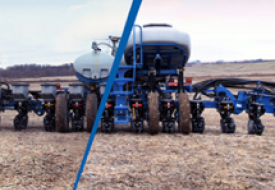 *While the intent of the ISOBUS standard is to provide cross compatibility between systems from different manufacturers, Kinze cannot guarantee performance with third party monitors (such as Case IH® and John Deere®) due to differences in hardware and software. John Deere, Case IH, Raven, Viper, Slingshot, Ag Leader and Integra are property of their respective owners. There is no affiliation between Kinze and John Deere Company, Case IH or Ag Leader.